So Google is taking one step further to integrate Google + as a social platform. 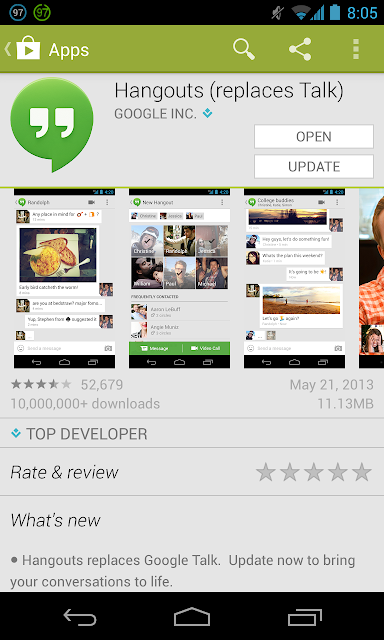 Niue Google chat will be replaced with Google hangout application. One instant thing you will notice is that you will start seeing more notifications for hangout if you have to many people added in your circles. Thou like it or not Google will keep going further and try to give more competition to Facebook by indirectly compelling people to use Google +.